Interesting title you may say, and how can restaurants be lost. Well I don’t mean lost in the common sense, it isn’t the kind of lost of misplacing your remote control. No, this is a completely different kind of loss. This loss in a sense surmises that (we) have moved rather than the physical place. Quite a common thing I would guess in developing countries with urban sprawl. 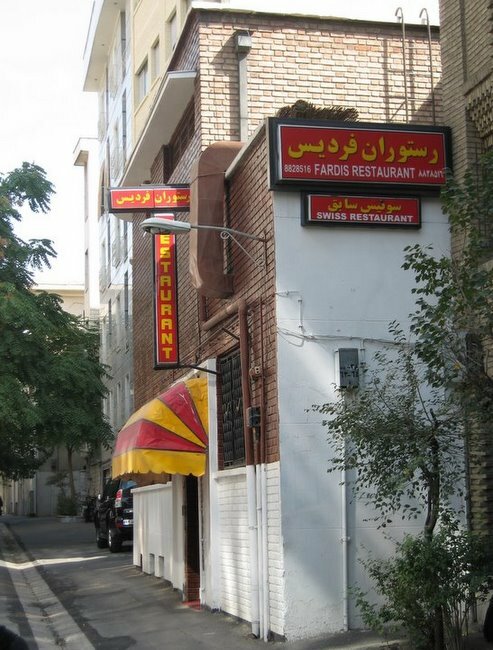 These wonderful restaurants are scattered usually around the city centre of Tehran, hidden behind a tower block, in an old garden with a dirty, badly lit sign, usually with some European name like ‘Le Siena’ or ‘Fardis Swiss Restaurant’. Yes believe it or not when Tehran was hip, and there was a time when Tehran rivalled Paris’ cooler Arrondissements, when Andy Warhol and Elizabeth Taylor would frequent glorious newly opened shopping malls and art museums, Europeans and Americans were quite a common sight in the city. Tehran at that time was half the size and the majority of people still lived in the inner suburbs. The interesting thing about the city, compared with other Middle Eastern metropolises, is that foreigners would live in the same apartment blocks as locals. But as the decades passed, the desire for new and better climatized residences became the norm, the city centre started to become less glamorous and gradually the foreigners left. If you search out, you can still find these glorious somewhat faded restaurants. Some that my wife’s parents thought were long closed, it was only because of our lack of vehicle that we discovered they were even open. 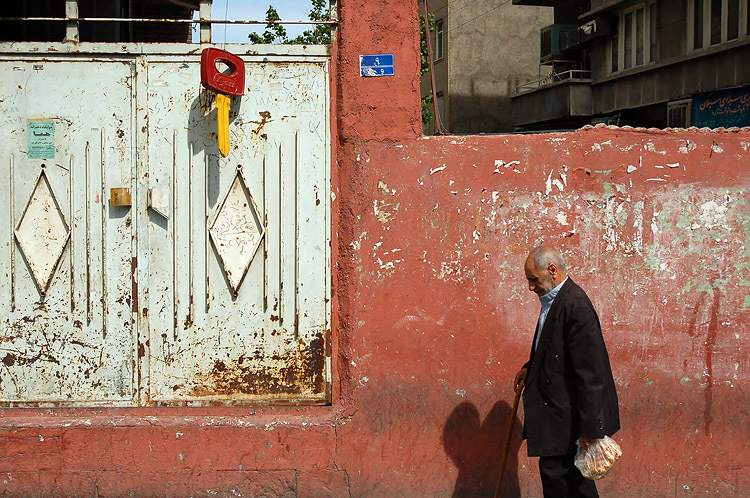 If you’re in Tehran (probably not), take a stroll around the city centre; you may even bump into the glorious Swiss Restaurant or the first pizza restaurant down Doctors’ Alley. It’s great to hear you liked our guest blogger’s contribution! Hope you’ll have an interesting time in Teheran.